In all his campaign manifestos since assuming the office of the President, Yoweri Kaguta Museveni outlined aspirations of having a united country working together for prosperity and modernisation. Thirty-three years later, Museveni’s unity aspiration has remained on paper as most of the country is still the tribal, sectarian and religious centred. This has not been helped by the questionable sharing of the national pie, the rampant nepotism in job recruitments and promotions in the army, police and other spheres of the civil service. Don’t be surprised when you read ‘unity’ as one of the plans on Museveni’s 2021 campaign poster. 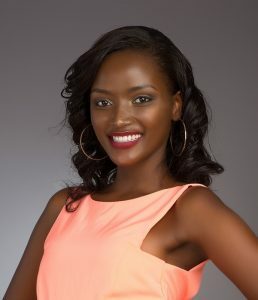 Fortunately, Museveni does not need to look further to find examples of leaders on whom to benchmark when it comes to unity than the current Miss Uganda, Quiin Abenakyo. The 22-year-old Business Computing student at the Makerere University Business School (MUBS) achieved Museveni’s 33-year dream in less than one day without even splashing shilling or visiting the ghetto youths in the sweaty armpits of Kamwokya or Bweyogerere. In less than one, she had summoned what is left of every Uganda’s patriotism from all walks of life to cast a vote for her to bring the Miss World 2018 crown home. From staunch members of the opposition to the Museveni die-hards, Abenakyo effortless brought them on the same table, with the same objective without using state machinery or resources. 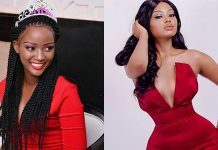 Having broken into the Miss World Top 30 courtesy of her ‘Beauty with a Purpose’ projects that seeks to end teenage pregnancies, Abenakyo ran a spirited social media campaign that undoubtedly brought the best out of Ugandans a single mention of tribe, religious or political affiliation. Government handlers and opposition propagandists alike have been urging Ugandans to vote owing to the fact that the top 30 nod is Uganda’s first ever in the history of the global pageant. 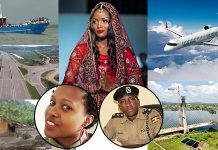 The Government Media Centre, former FDC Presidential Aspirant, Moses Byamugisha, the Speaker of Parliament, Rebecca Kadaga, ICT Minister Frank Tumwebaze, KCCA Executive Director, Jennifer Musisi, are among members of the political circles that have put aside their differences to swing support behind the beauty queen. 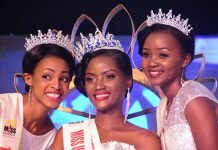 Even musical nemesis, Bebe Cool and Bobi Wine have for once agreed that a victory at the Miss World finals on Saturday in China will mean a lot for Uganda and have also thrown their egos and weight behind Abenakyo who trounced her Argentine counterpart on Sunday to scoop a place in the finals. Bobi Wine’s tribute was even more touching. He described Abenakyo as is a young, beautiful, intelligent and confident Ugandan who is raising our flag high at the Miss World 2018 pageant. “Quiin gave a moving speech in which she highlighted the plight of the girl child in Uganda. As Miss Uganda, she is working hard to keep the girl child in school because she believes that when you educate a girl, you are educating the entire community. Quiin has already made history,” he said urging his People Power supporters and Ugandans at large to vote in huge numbers. And indeed Ugandans have continued to shower Abenakyo with votes. By press time, the Mayuge born contestant had moved to almost eight spots to become fifth on the leaderboard behind Nepal’s Shrinkhala Khatiwada, VY Tran of Vietnam, Enkhriimaa Erdenebaatar from Mongolia, India’s Anukreethy Vas and Thailand’s Nicolene Pichapa. “If she wins, we all win and Uganda wins. Let’s show the world the true meaning of People Power,” Tumushabe said. Abenakyo has for the past few days become the unpaid face of most, if not all Uganda’s Corporate Brands as her face has been used on their promotional material as they laud their clients to vote. Her warm smile, seamless beauty, melanin skin and intelligence have made Abenakyo Uganda’s sweetheart. If she doesn’t win the crown, she will have set a template upon which everyone interested in unity building should follow. Only the Uganda Cranes have come close.